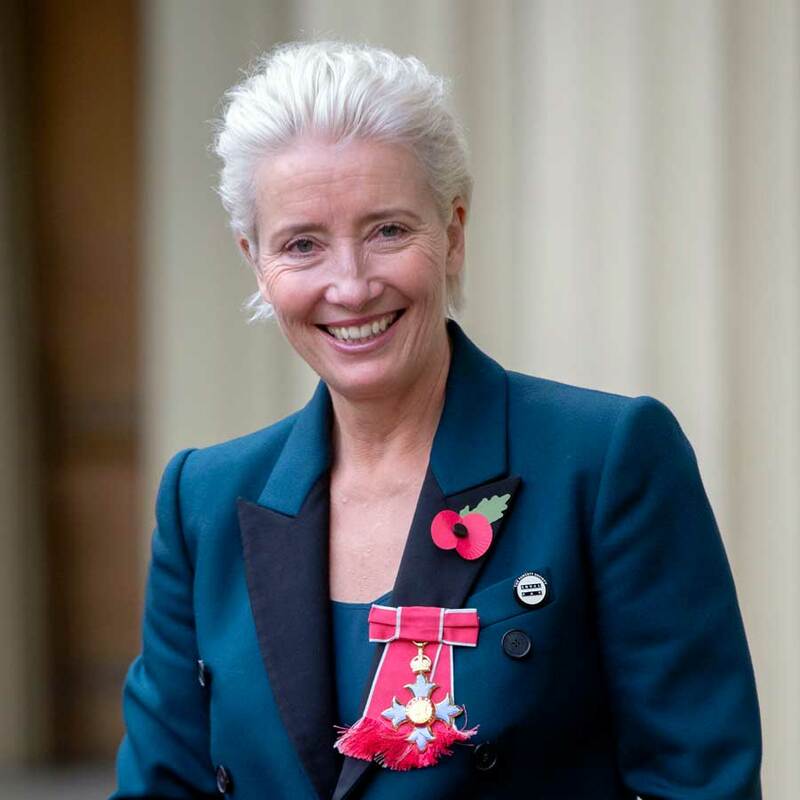 Leave it to staunch feminist, screenwriter and actress Emma Thompson to buck tradition. She turned up at Buckingham Palace to accept her MBE, which stands for Dame Commander of the Most Excellent Order of the British Empire, and her fashion choices had some tongues wagging. The emerald Stella McCartney suit was a clear winner, but white sneakers to complete the look were more controversial despite them also being designed by McCartney in collaboration with the classic Stan Smith. Vegan and eco-friendly, the sneaks definitely made a statement, fashion or otherwise. Still, you could almost feel the breeze coming from Royal Watchers sniffing in protest. But her casual approach worked for our modern sense and sensibilities, especially given that the Queen was not in attendance. Her Majesty left the royal duties to her grandson, third in line to the throne, Prince William.